The website of Dairy Science and Food Technology, an information and consultancy service for the food industry, provides useful and applicable information, calculators and reports which are surely of great use to the dairy processor. 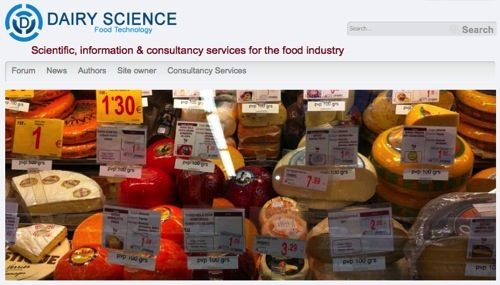 The website was established by Dr Michael Mullan who is CEO of the Dairy Science and Food Technology consultancy. Originally the site was intended as a project aimed at exploring the use of the Internet as a means of communicating with students. Over the years the site has grown and contributions are now invited from the wider scientific community and industry. DSFT gets around a million ‘hits’ a year and there are hundreds of links back to the site. The content of the site is illustrated by the navigation menu which includes topics like Cheese Yield, Food Models, Lactic Bacteriophages, Calculators, Links, Packaging and Labelling, Writing Tools, Thermal Processing, Ice Cream and Probiotics. 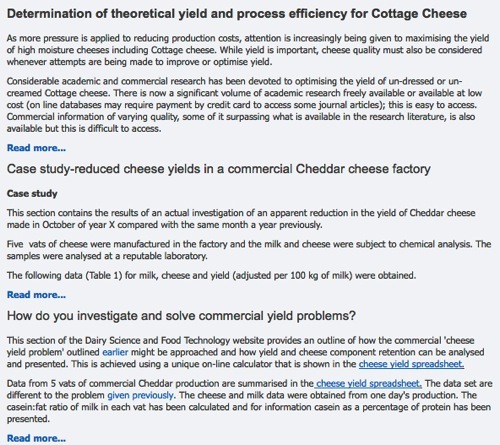 The nature of information is illustrated by the screen grab below from the Cheese Quality page. To me this kind of information on the INTERNET is what we need to access, not the generic marketing type information that abounds. Please share the information you use by commenting on this page. This entry was posted in ..Agribusiness/tech, .Food Processing, Food Processing, Free Online, Information, Uncategorized and tagged calculators, cheese, dairy, information, Science, Technology on July 15, 2014 by admin. 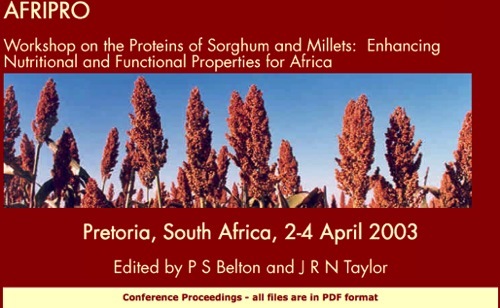 If you need to get to know about Sorghum or Millet or want to get some of developments, this conference publication could be very useful. Unfortunately this conference is now 10 years old so doesn’t present the very latest state of the industry, but does contain two good reviews which are always relevant and some of the science of the time around food products, nutrition, plant breeding, sorghum based polymers and consumer preferences. With international researchers like Professors Belton, Rooney and Taylor one can rest assured that the standard and focus of the work was of the highest standard. The web site presents a wide range of papers as well as the questions arising and the way forward through focus group and a prioritised list of research needs. This conference was the output of a development funded project, so has no direct project follow up. However, there has surely been more work in the technology areas identified and maybe there were activities in ideas/groups born from the conference. I have not been able to find a collection of this type of information and would be interested to hear about your experiences and share further information here. This entry was posted in ..Agribusiness/tech, .African Development, Development, Food Processing, Food Products, Food safety, Interesting Food Products, research, Technology and tagged conference, millet, Nutrition, Science, sorghum, Technology on July 12, 2014 by admin. 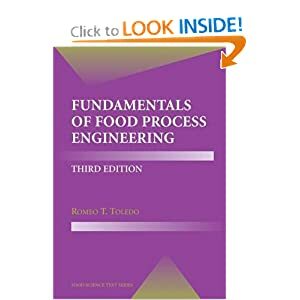 This entry was posted in ..Agribusiness/tech and tagged Engineering, food, Fundamentals, Hardcover, process, Science, series, Text on September 20, 2010 by admin. This entry was posted in ..Agribusiness/tech and tagged Evaluation, food, Hardcover, Practices, Principles, Science, Sensory, series, Texts on September 8, 2010 by admin. 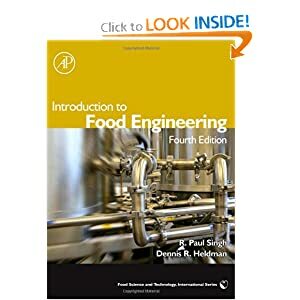 This entry was posted in ..Agribusiness/tech and tagged Edition, Engineering, food, Fourth, Hardcover, Introduction, Science, Technology on August 30, 2010 by admin. This article from the Science Blog of the UK Guardian is really worth reading – its a great blend of the physical aspects of making a loaf of bread and some science down to the level of equations and protein structure. This isn’t really for the Food Technologist or the baker to learn about baking, but is rather a gentle and enjoyable read showing the interrelation between biological processes and science. This entry was posted in 3F - Fun, Food Processing, Technology and tagged baking, bread, process, recipe, Science on December 5, 2009 by admin. This is one more of those amazing sources of information that the INTERNET provides for free. In the past if you were lucky enough to know about it you could probably request a copy. Now you GOOGLE and FTP a PDF for free! Interestingly the information in this manual is the same proven science and technology! I know Chris Hansmann well, from having worked together on a Cashew Apple Processing project, through the South African Association of Food Scientists & Technologists (SAAFoST) and for having worked for sister R&D organisations. I am therefore confident of the soundness of the science as well as the applicability of the technology presented. The manual is comprehensive, starting with some of the principles of preservation, moving into the different processes that are applicable (both from a process and a product viewpoint), covering hygiene and nutritional aspects and ending on recipes to be used with these processes. This is a book you should put in your Technology Directory/Folder for the time you need some good technical information on fruit processing, whether it be for indigenous or other fruit. This entry was posted in African FoodBiz, Development, Food Processing and tagged dried-fruit, indigenous, indigenous fruit, jam, juice, processing, Science, Technology on November 3, 2009 by admin. 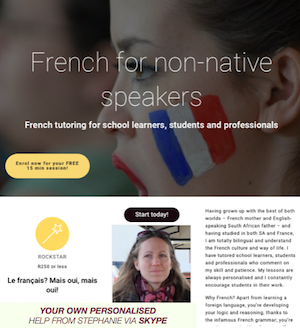 Here is a really good online resource – it covers a wide range of scientific subjects from an African angle and also periodically presents really practical series with a do-it-yourself flavour. For example there was a series on essential oils including processing and how to produce alcohol from waste on a cottage scale. This entry was posted in Food Processing, Technology and tagged Africa, information, online magazine, Science on February 9, 2009 by admin. I found this well thumbed book in a house where I lived in France. Knowing and having lived the French “obsession” with food for three months I feel it might be interesting to look at its contents a bit deeper. You can be sure its interesting, even if only because it was published in 1935. Although the contrast with a similar British approach might also hold some lessons. This entry was posted in Personal, Technology and tagged food, France, Science on August 5, 2008 by agribusiness. Here is the first of my notes on Biofuels – I look forward to inputs and comments! I am sure I can not answer that question – I think its a bit like the “will Biotechnology really save the poor of the world?” question which has two “sides”, a public who can’t decide and not enough knowledge to settle it. So the sides don’t agree and continue contradicting each other. Its not like the the flat earth discussion, where their are only a handful on the “flat earth side” and enough information for the vast majority public and academic to agree. So just recently two papers in Science added to the warnings that food crop based biofuels are not a good solution to global warming. Then just to prove my point about never understanding the real position Biofuels Digest reports on another study! This one amongst others concludes that converting land under soya to maize for ethanol is positive, as it would increase the value of the land reducing the possibility of housing development that would be more harmful! It seems to me that there has been a big oversight in all the evaluations on which decisions were made to use millions of tons of food are to produce millions of tons a year of biodiesel and bioethenol. Note that there is still no agreement on whether the global warming effects of the crude oil used to produce farm implements should not be added to the current calculations. Are there others unforeseen issues laying in wait and are we being sunk by our rush to eplace fossil fuel with anything that we can call green? What is surely clear though is that there should be a focus on producing biofuels from the other options which are still way too expensive and require technology development eg cellulosic ethanol, algal biodiesel, biogas. These offer energy and greenhouse gas advantages over the simpler food based biofuels. Maybe further expansion of bioethanol and biodiesel capacity should not receive the subsidies which have allowed this situation to develop. This entry was posted in Biofuels and tagged biofuels global warming, land use, Science on March 7, 2008 by daveharcourt.